The highest motorable lake in the eastern Himalayas is located in the border region of Northern Sikkim. 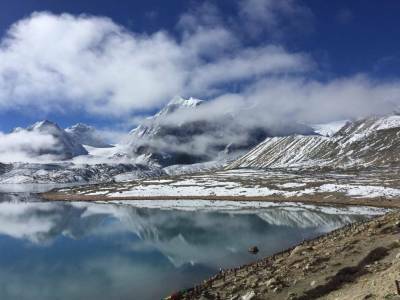 It is known as the Gurudongmar Lake. It is one of the most beautiful high altitude snow fed lakes in India and looks best during melting summer times when the lake is devoid of any snow. 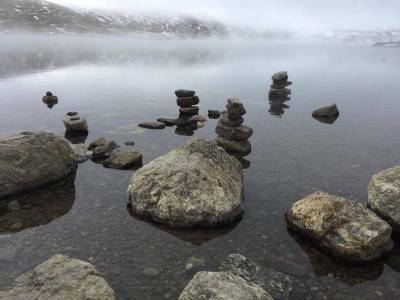 The blue lake, the white stony banks and the yaks' trails truly present the view of picturesque scenery. 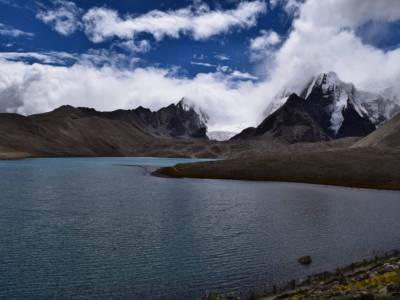 The Gurudongmar Lake is located about 188 KMs away from the capital city of Sikkim, Gangtok. 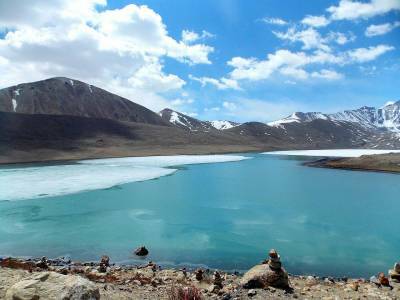 The Gurudongmar Lake is situated at a great altitude of about 17000 ft above the sea level. The lake is encircled amidst the high snowy mountains of the Himalayas and the golden view of the Kanchenjunga range is just a priceless addition to the memoirs of everyone visiting the lake. 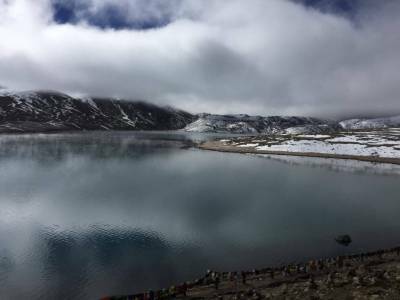 The Gurudongmar Lake remains frozen during the winter months except at a spot that is located near the India Tibet Border. It is said to be a blessed lake and that it grants any wish. The historical importance of this lake is also very deep. Guru Padmasambhava, the one who preached Buddhism in these parts of the land is said to have visited here. Thus the name Gurudongmar is derived from it. The whole region is located on the India Tibet Border and the presence of army is forever. The altitude may cause some breathing problem for the travellers but the scenic beauty is altogether breathtaking and magnificent. To reach Gurudongmar Lake the tourist must first travel to the Lachen town about 120 KM from Gangtok. The log winding road laden with verdant beauty and innumerable streams is a divine grace. After an overnight stay at Lachen, the next day tour leads the way to the panoramic Gurudongmar Lake via the Chopta Valley. Get quick answers from travelers who visit to Gurudongmar Lake.